Business or commercial premises not on main drainage? Struggling to find a reliable wet waste removal service? Need timely disposal of animal or food production waste? Call ECS, your local commercial waste disposal experts. Our vacuum tankers can be at your premises within 24 hours of booking to deal with all your wet waste requirements, including emptying septic tanks, cesspits, and de-sludging small sewage plants. 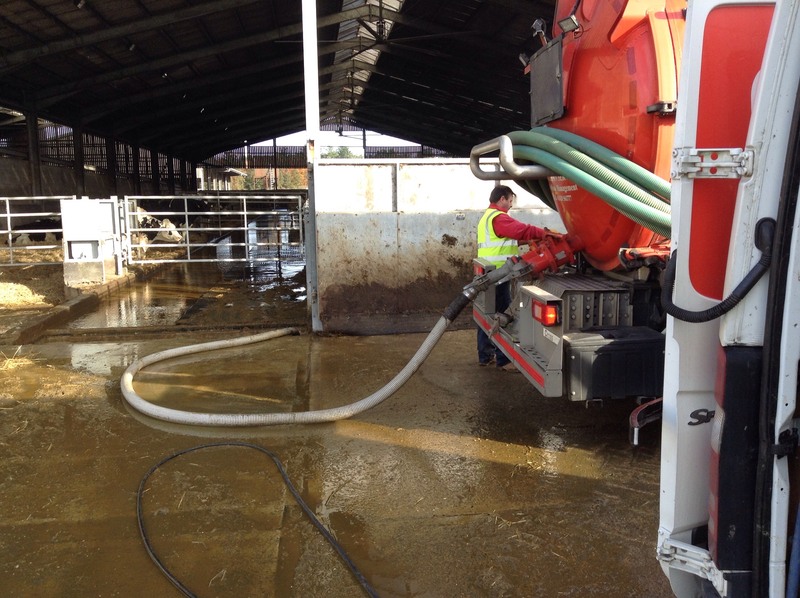 Our team are also highly experienced in the collection and disposal of all kinds of commercial wet waste including animal waste, food manufacturing waste from the dairy industry, agricultural slurry, and more. If you call outside of our office hours, just leave your details on the answerphone, or call the emergency out of hours contact number. We aim to make any collection within 24 hours. Easy Clean Services has tankers ranging from 2,000 gallon (9092 litres) to 4,000 gallon (18,184 litres). Our expert team of drivers criss-cross the whole of Hampshire, parts of Wiltshire, Dorset, West Sussex, and Surrey to speedily remove various types of wet waste and effluent from commercial premises.